It's easy to get excited about how progressive he's been, but at the end of the day, Pope Francis is still ... a pope. And that means, in all likelihood, he's anti-choice. Still, since Francis has been known for his transformative stances on other traditional views held by the Catholic Church, many were hoping his framing of the issue of abortion might not be this harsh. No such luck: Pope Francis condemned abortion Monday, calling abortion a “horrific” symptom of a “throwaway culture.” The leader has faced disapproval from groups accusing him of not being frank enough on the topic —until now. "It is horrific even to think that there are children, victims of abortion, who will never see the light of day," he says in his State of the World address. He also made candid remarks on respect for the elderly and migrants. Since the start of his leadership in March 2013, everyone's favorite religious leader set a new tone for the Roman Catholics, including newly progressive views on priests and homosexuality, and even giving the green light to breastfeeding in church. But Monday marked a change for Pope Francis, as he previously chose not to vocalize the church's well-known position on abortion, unlike his predecessors. “The challenge today is this: to think about the specific place of women also in those places where the authority of the church is exercised for various areas of the church,” Francis said. He added: The church cannot be herself without the woman and her role. The woman is essential for the church. Mary, a woman, is more important than the bishops. I say this because we must not confuse the function with the dignity. We must therefore investigate further the role of women in the church. We have to work harder to develop a profound theology of the woman… But what I hear about the role of women is often inspired by an ideology of machismo. 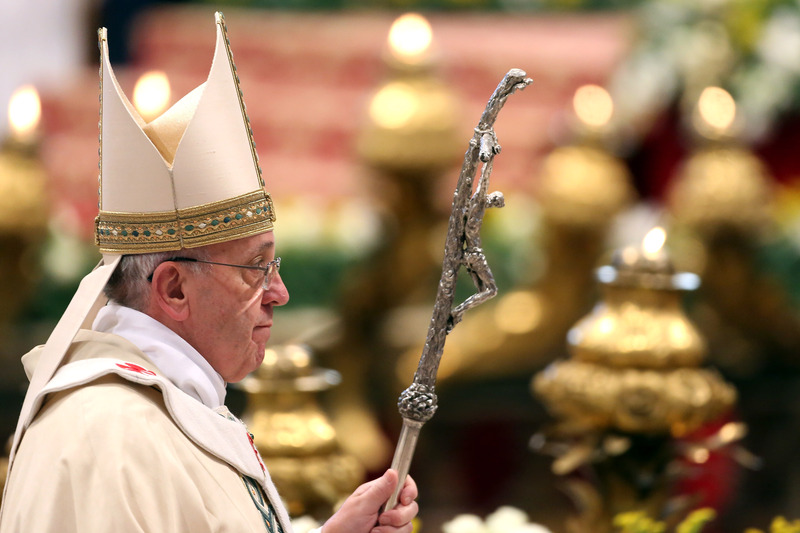 While the pope might waver in his opinion on the role of women, he remains pro-life. And if recent comments are any indication, it's highly unlikely he'll change the Church's stance on abortion.